The Geovision 94-NR31T-083 UVS NVR server is a video streaming server which is available in 3U chassis and is supported by large storage capacity. The NVR server offers 3U (16 / 8-bay) and hot-swappable SATA mobile racks. 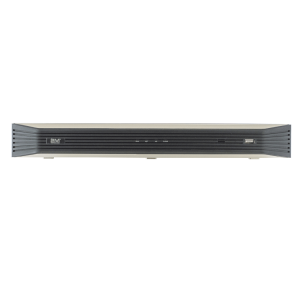 The system supports up to 60 TB of HDD and offers large storage capacity for recorded data. Featuring Windows 7 embedded operating system, the Geovision 94-NR31T-083 UVS NVR server supports up to 24 cameras. Its 3U Chassis with rack mount design makes it suitable to be installed in various challenging environments without taking up much space.